DCNS is the European leader in naval defence and a major player in marine renewable energy. The Group’s success as an advanced technology company with global reach is built on meeting customer needs by deploying exceptional know-how, unique industrial resources and an ability to develop innovative strategic partnerships. 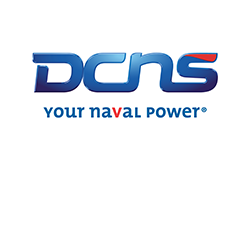 DCNS designs and builds submarines and surface combatants, develops associated systems and infrastructure, and offers a full range of services to naval bases and shipyards. The Group has also expanded its focus into marine renewable energy. The DCNS Group generates annual revenues of €3.04 billion and employs 12,953 people (2015 data). Submarine design, build and sustainment.